Karen Young has ridden and trained Equitation and Horsemanship for more than 30 years. Her clients have ranged in age from 3 year old lead liners to 70 years young, in various disciplines including English and Western Pleasure and Equitation, Hunters, Trail, and Dressage. Karen has used dressage techniques on all of her western ponies/horses long before there was such a thing as “Western Dressage.” Classical principals lighten and enhance the western horse’s movements. Dressage teaches riders a more harmonious way to communicate with their horses. 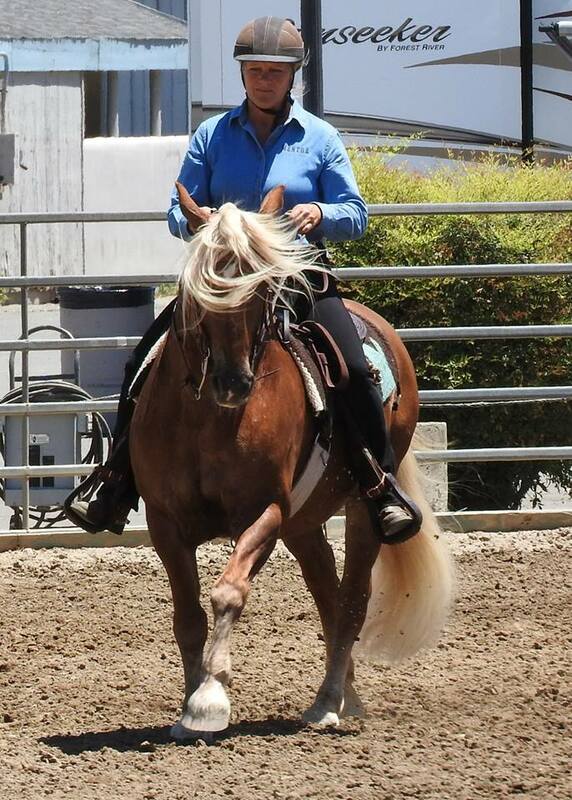 Karen offers monthly Western Dressage workshops and weekly private lessons in Rio Linda, CA. Karen Young is a CaWDA Mentor.